Elemis neck balm Review: Does it really deliver what it claims? Elemis Pro-Collagen Neck and Décolleté Balm is marketed as a smoothing, firming cream which is meant to improve the look of the neck and chest for a softer, more youthful appearance. Elemis Pro-Collagen Neck and Décolleté Balm is meant to smooth away the look of crepey skin for those with more mature skin and increase the skin’s firmness and elasticity. This product reduces the appearance of fine lines and leaves skin looking smoother and softer to the skin. For best results, Elemis Pro-Collagen Neck and Décolleté Balm should be applied in the morning and the evening to the neck and chest area during your typical skin care routines. Massage the product into the skin with light, massaging strokes. As with any skin care ingredient, it may be a good idea to do a small patch test on the skin to ensure this product does not have any adverse effects. Elemis Pro-Collagen Neck and Décolleté Balm retails for $78.50 per 1.6 oz. on several relatively well known beauty retailer sites. Sea Buckthorn Oil: This ingredients works to hydrate the skin and reduce the appearance of wrinkles and fine lines. Tree Fern Extract: This ingredient improves the skin’s firmness and elasticity to reduce crepiness. Liftessence: This trademarked ingredient tightens the skin and creates a more lifted effect. This product is available on several reputable skin care websites. 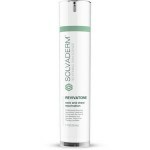 This product hydrates as it addresses anti-aging issues. There is very little proof that a lifting effect can actually be achieved with a topical lotion. There are very few customer reviews available to determine this product’s effectiveness. Yes. Elemis Pro-Collagen Neck and Décolleté Balm addresses one of the most obvious signs of aging, however, we would like to address a few issues before you consider purchasing. 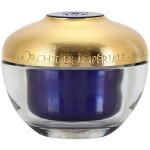 This product is rather expensive at $78.50 for a bit over an ounce of product. 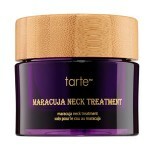 This company also makes the bold claim that the active ingredients contained within this product can firm and lift the sagging skin on the neck. These claims are overstated. The only way to actually lift and permanently firm the skin is from injectables and surgery. T best, this product may be able to temporarily tighten the skin, however, it won’t provide any significant long-term effects. We would recommend continuing your search for a more affordable product that has well-researched ingredients and more reasonable claims. 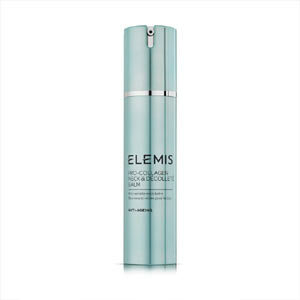 Elemis Pro-Collagen Neck and Décolleté Balm is available on several relatively well known sin care retailer sites that offer a very reasonable money back guarantee. As long as you return this product within 30 days, with proof of purchase, you will receive a full refund.